Ever since Savvy Babe started running and jumping, I made sure that he would have daily outdoor activities to burn off his unlimited source of energy. Well mommy got exercised as well. 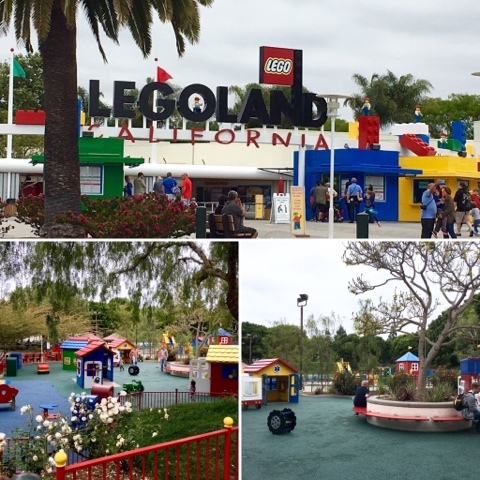 When I first thought about Legoland, I was rather hesitant but after speaking with several friends with tots, I decided to take a chance and Merlin purchase annual pass for $189. I figure one day ticket is already around $100 plus parking for $15, if I only go twice, I am ahead already. I actually got a great deal becasue I got 2 free tickets and a $50 gift card. Anyhoo, it is a great decision because we have visited at least once a month. Honestly at his age, he is either not tall enough for rides or not interested in rides. However there is a playground within the park that is just so tot friendly. 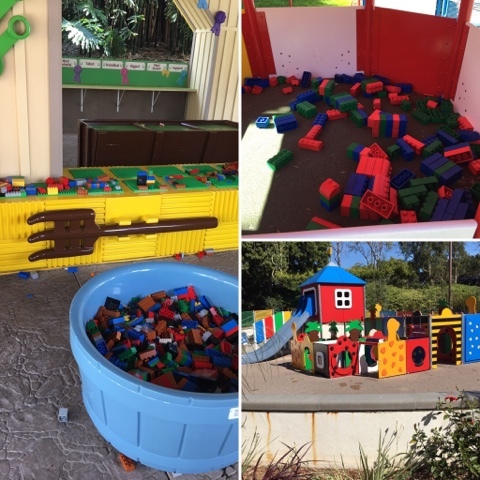 A tot can built blocks, ride a mini train and play on slides and other pretend games. The 2 areas are large enough for Savvy Babe to run about burning of his little bundle of energy. This playground has one entrance/exit so I will let babe roam about within my eye sight but not feel I need to be within arm's reach. At the end of the 1-2 hours there, we would usually sit down for a picnic lunch or share a lunch at one of the many restaurants. By this time, he is so tired and hungry that we will just quickly finish lunch and go home for a nap. 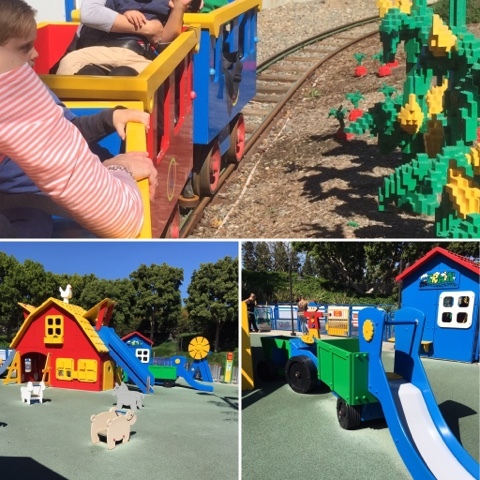 Within the playground, there is a train ride for younger children. It's babe's favorite thing to do. There also several slides and areas that kids can built and do pretend plays. For me, I love that he is interacting with other children which he is learning to share and wait his turn. He is also learning from older kids. Since joining, I have roped a couple gal pals into buying memberships so we can do play date at Legoland. Besides letting tots play, it is a great power walking venue for moms. I would put on my best walking shoes and do my power walking exercise around the park. This way, mommy gets to walk off calories and stress while babe gets to play and people watch. 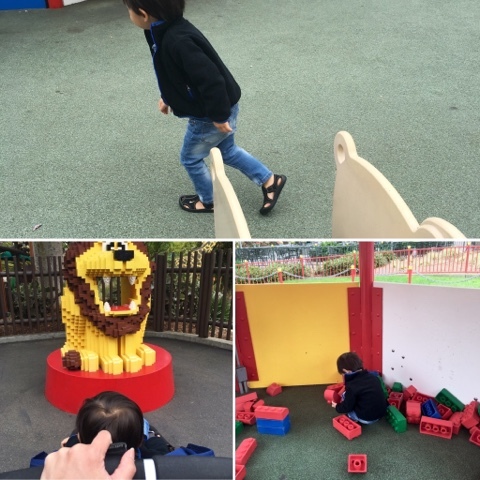 I highly recommend Legoland membership for tots and mommies.